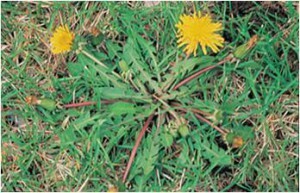 Perennial weeds, “the reoccurring weed”, should be dug up completely since they can lay dormant and return the following spring from a root that survived the winter. Annual weeds cultivate from seeds from the previous growing season and only have one life cycle, therefore a pre or post herbicide is best to prevent their development. Best way to keep your lawn looking green is to not let these weeds take control in the first place. 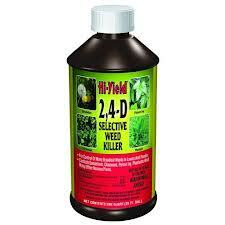 Use pre-emergent herbicide early spring and it will protect your lawn all summer. If you prefer organics, corn gluten meal is perfect BEFORE the weeds emerge. If you missed early spring, any 2-4-D product will help you control those pesky weeds from taking control over your green & lush lawn. Keep your lawn looking green is simple.. mow often, fertilize and weed it. Stop by Lochte Feed & General Store for all your organic and non-organic herbicides, fertilizer and lawn tools. This entry was posted on Wednesday, April 3rd, 2013 at 10:46 am	and is filed under News & Updates. You can follow any responses to this entry through the RSS 2.0 feed. Both comments and pings are currently closed.